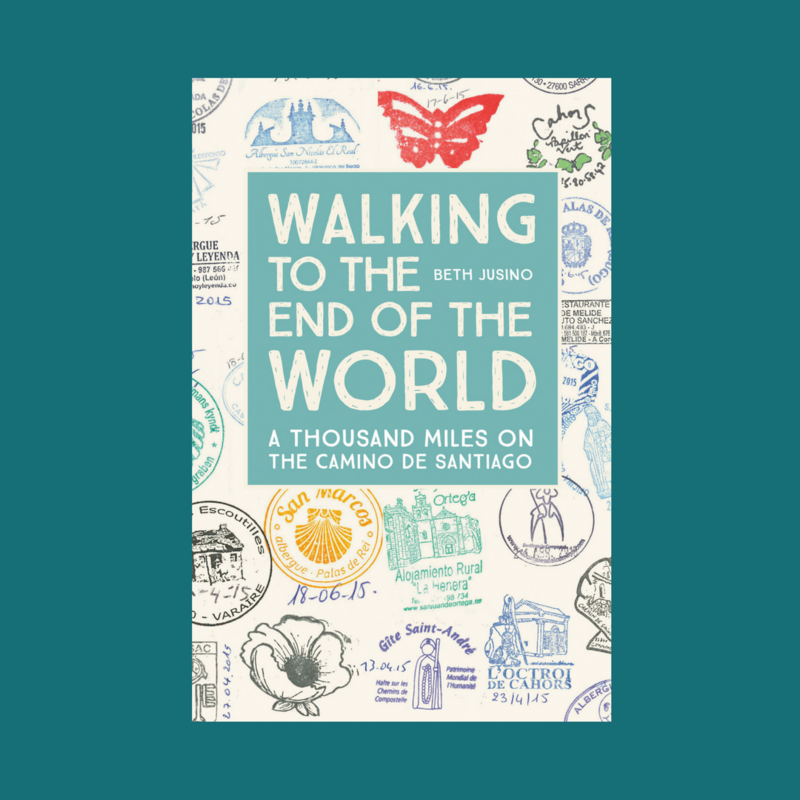 There are some days on the Camino de Santiago that, when you look back, seem to fill a week’s worth of experiences and stories. 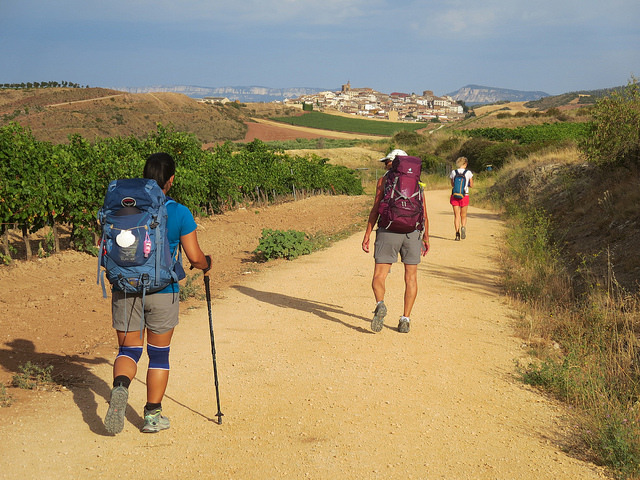 First days are often like this – the trail is new and every yellow arrow or red-and-white marking is exciting, every hilltop view or medieval town is a surprise. The first day of the Camino del Norte was so full that it’s hard to remember that it was just a single day. There were tough climbs and ridgeline walks, crumbling fortresses and paths through fields of cows, our first look at the ocean, tough descents, our first ferry ride, more ascents, more ocean, and finally, a bed in the woods. We set out from the donativo albergue in Irun after a generous breakfast of strong coffee and the local bakery’s day-old pastries, served by our gregarious volunteer hospitalero with a generous helping of friendly advice. To one person, he said their bag is too heavy. To another, he warned that they would need warmer clothes for when the rains came. For me, he stopped and wrote down the five phrases that I should know in the Basque language Euskara. Only one – eskerrikasko, or thank you – stuck. Though the pilgrims and weather reports were full of rumors and stories of rain, the morning was clear, and the early light glowed. The path was relatively flat for the first 5 kilometers before it began a gentle, and then steeper, climb to the Sanctuario de Guadalupe. The church appeared to usually be locked, but there was a woman there preparing for mass, so we slipped in and paid our respects before we faced the first split in the route. The lower path, which would stay relatively flat for the next 8 kilometers, promised “sporadic views of the Basque interior.” The higher path would climb sharply (100 meters of elevation in 300 meters, which is less an uphill walk and more a hold-onto-tree-branches-to-pull-yourself-up ascent), but then promised spectacular ocean views, as well as crumbling towers. It was called “Purgatorio,” perhaps to scare away those who weren’t prepared, but on a clear, sunny day, and this early in the walk, we were feeling strong and optimistic, and decided it was totally worth the scramble. Because as we emerged from the trees after that first steep-as-a-ladder climb, all of a sudden there was the ocean behind us, blue and vast and beautiful. And in front of us (still another hundred meters of up), a crumbling watch tower. The Cicerone guidebook says that they were watch towers built during the 19th century Carlist Wars. A hiker on the trail told us they were remains of earlier Basque towers where scouts would scan the ocean for whales and direct the whale-hunting ships. Whatever it was, the people who used to hang out up here had a heck of a view, with Irun and Hondarribia on one side of the ridge and the ocean on the other. The trail continued along the top of the ridge, passing five more watchtowers. It was a new experience for us to be traversing through, rather than around, cow pastures, but the animals basically just ignored us, and we learned to watch where we walked. Eventually, what goes up must come down, and so after the highest point of San Enrique at 545 meters (about 1800 feet) elevation, we started the steep, unrelenting descent back to sea level. San Sebastian glowed in the distance, but before we would get there, we needed to pass through Pasajes de San Juan, a small village clinging to a hillside at the mouth of a narrow river that had become a major shipping channel. The only way across the water was via a foot ferry, which cost 80 cents and ran every 15 minutes or so. Ferries are an unique part of the official Camino del Norte route, and something I hadn’t encountered on the inland Camino Frances or Via Podiensis. I’d been a little concerned when we set out about how we’d know where to go and what to do when we got there, but the arrows led us right to the dock, and it was easy enough to follow the lead of the people in front of us. On the other side of the river, there was an unsigned detour up through the town when the seaside road was blocked and under construction, and another short but steep climb back up to the bluffs. My legs and feet were starting to complain as we skirted the ocean for the last few kilometers toward San Sebastian, along trails that were well used not only by Camino pilgrims, but also plenty of local tourists. Before we left the States, I’d decided that I didn’t want to worry about finding a place to stay in a city as big and popular as San Sebastian, especially on a Friday night and after a long, hard day of walking. I looked for a place that I could book online, but the albergues in the city were all expensive (by albergue standards), and as much as I wanted to try the famed pintxos (tapas) of the Basque region, it just wasn’t working out. So sight unseen, I decided a better choice would be to stop on the outskirts, at the Ulia Youth Hostel. Two kilometers before (and above) the seaside city, the hostel is tucked into the woods as a center for local mountain sports. It turned out to be a good choice. We arrived just as the clouds started to roll in, and a light rain started not long after. I was exhausted, still a little jetlagged, and footsore by the time we arrived, and happy to postpone the final descent into the city until the next day. Our room was spare (a Murphy bed and easy-to-hose-down tile floors) but private and quiet, and the patio overlooking the city had a view of the harbor that I could stare at for hours. Which, in fact, is what we did. All of the other adult guests that night took cabs into the city to explore, but Eric and I were content to bundle up and sit outside, journaling and watching the people. The kitchen at Ulia doesn’t typically provide individual meals, but they were cooking for a youth group of French middle-school students and agreed to give us what they were having. A plain hamburger patty (no bun), pea soup, and French fries never tasted so good. With detours and alternate routes, we’d covered about 25 kilometers (15.5 miles) in a day, plus all the climbing. It’s no surprise, then, that we were asleep by 9, like good Camino pilgrims. You have an amazing gift of telling a story, I love reading your posts. Thanks for taking your readers on this journey with you. I also like the photos. I’m getting a good preview of what to expect when I start my del Norte.